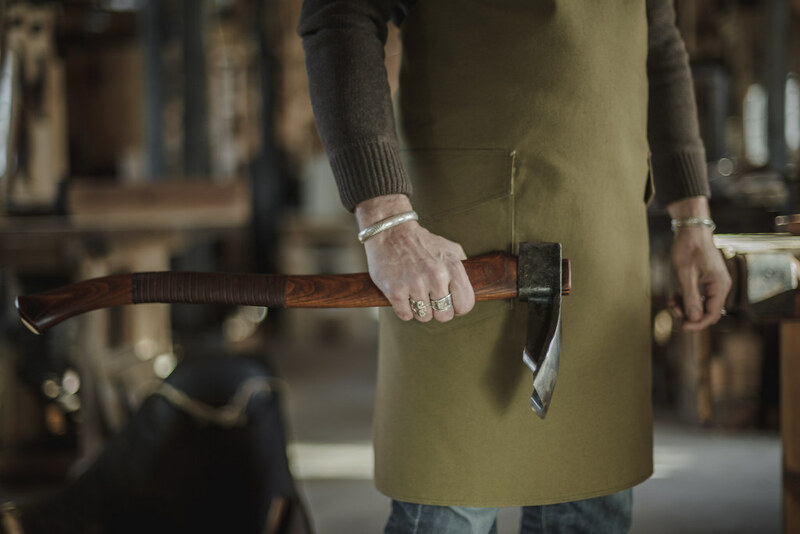 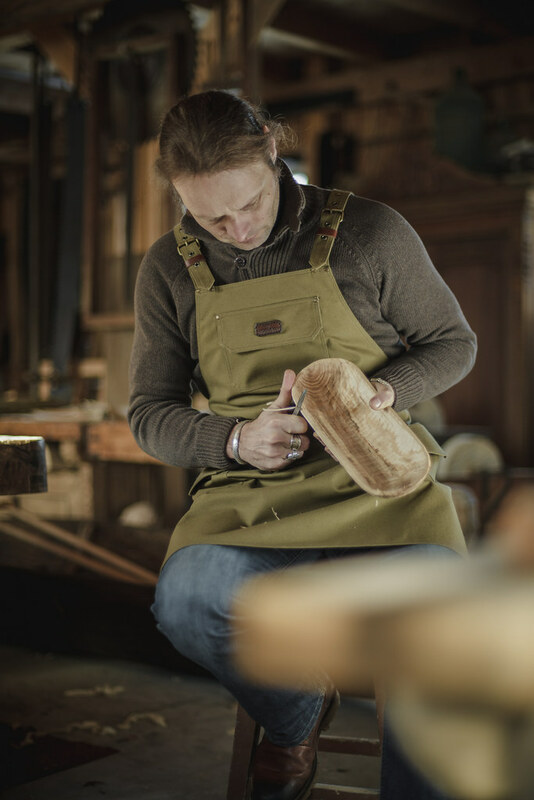 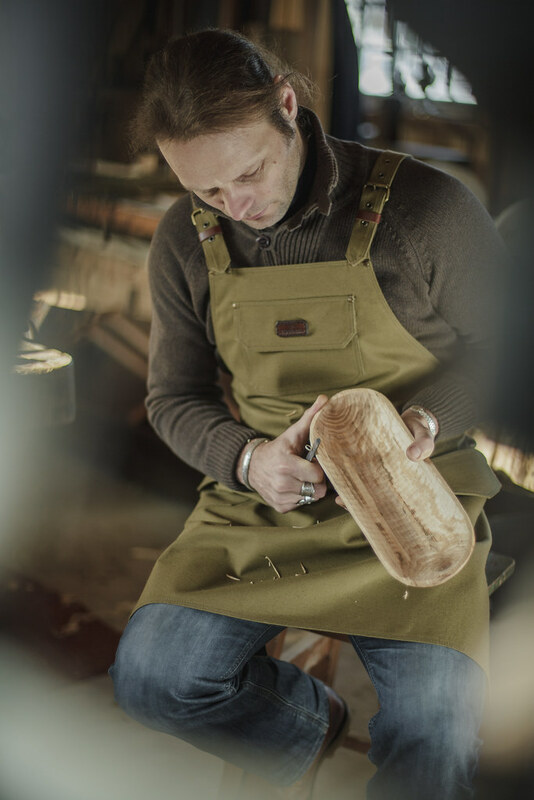 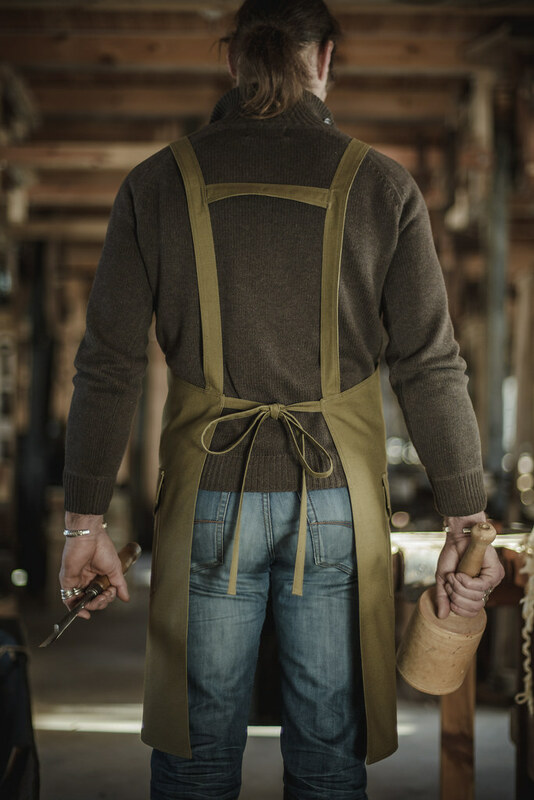 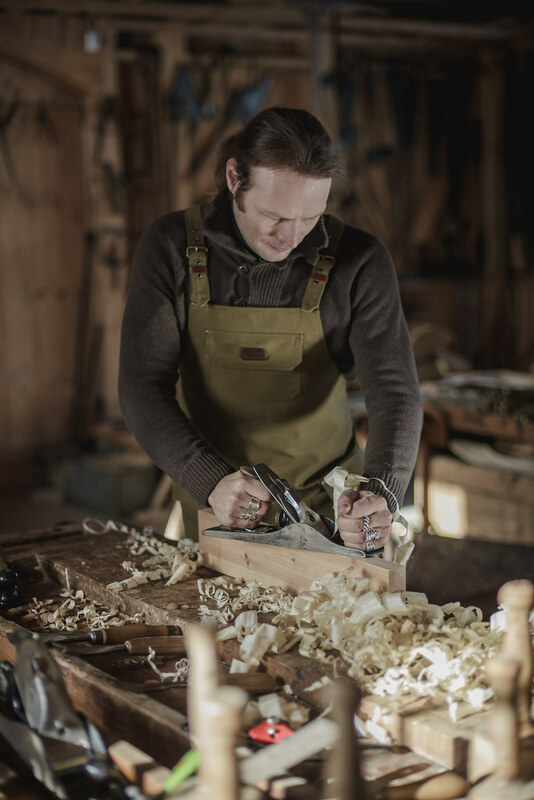 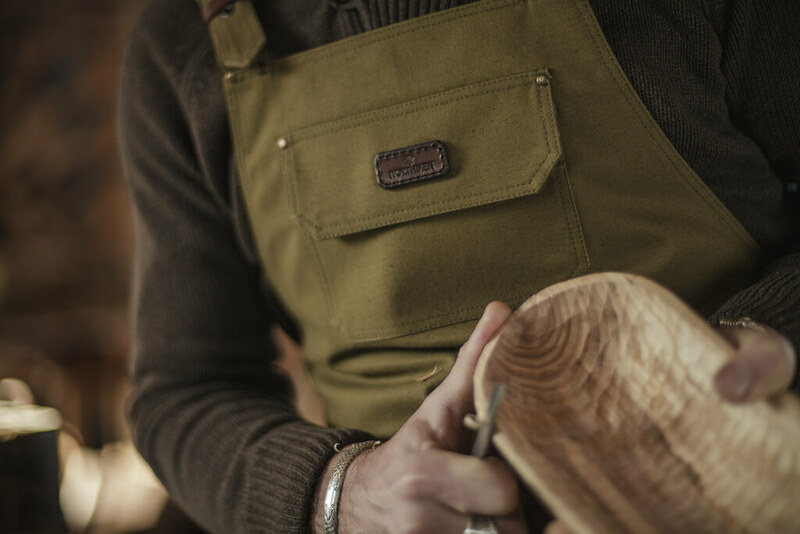 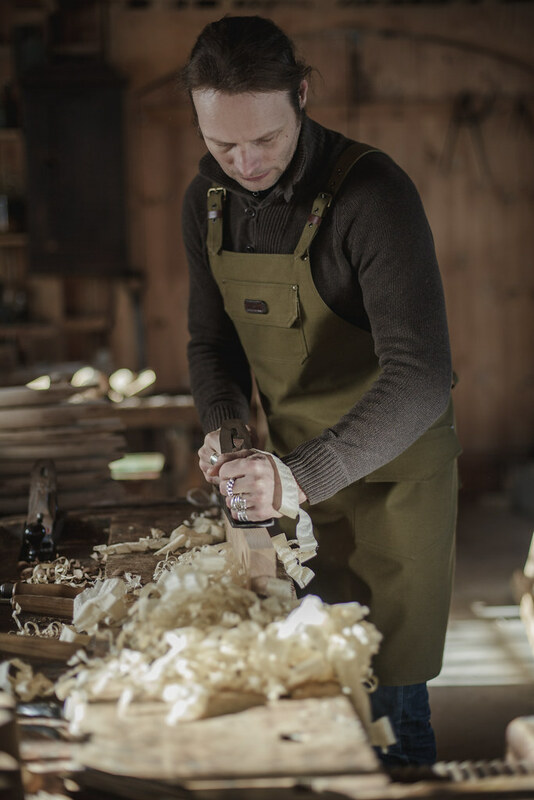 Northmen guild's designed moss green canvas apron is hand crafted. 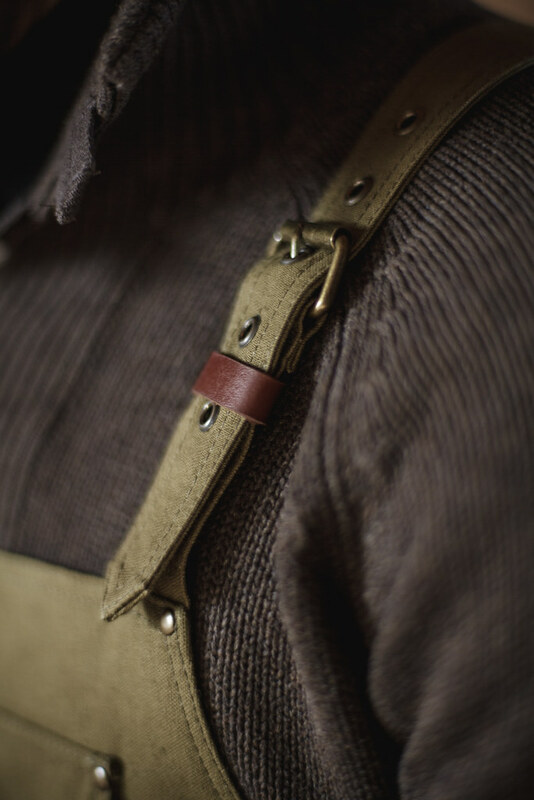 It is made to fit any form and size because it is adjustable. 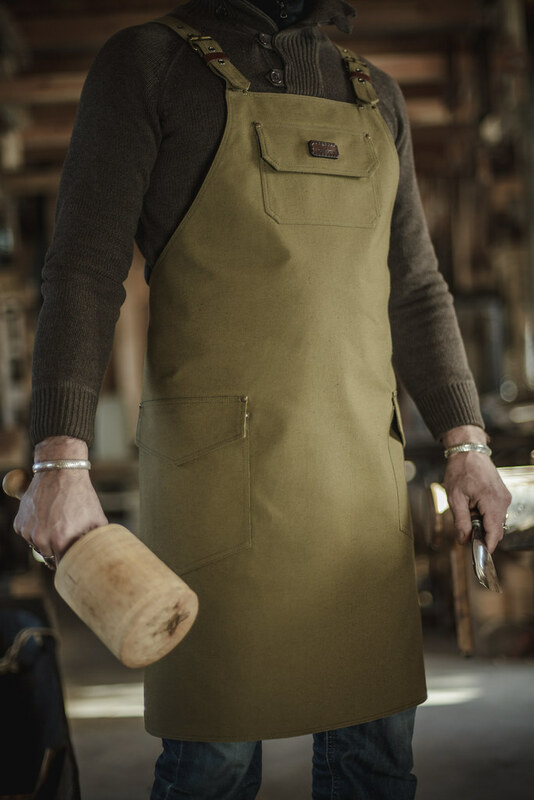 The top material is heavy duty canvas – 100% cotton, the backing is a special work cloth - 50% cotton, 50% polyester and is slippery for comfortable wearing. 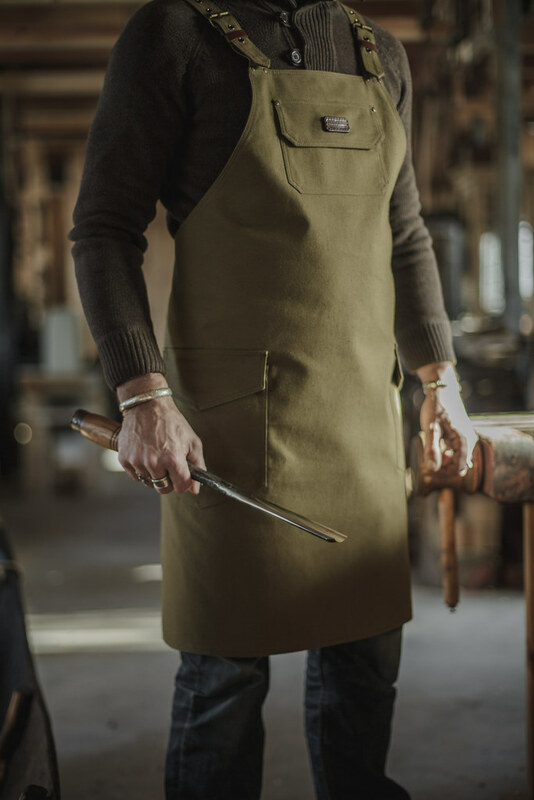 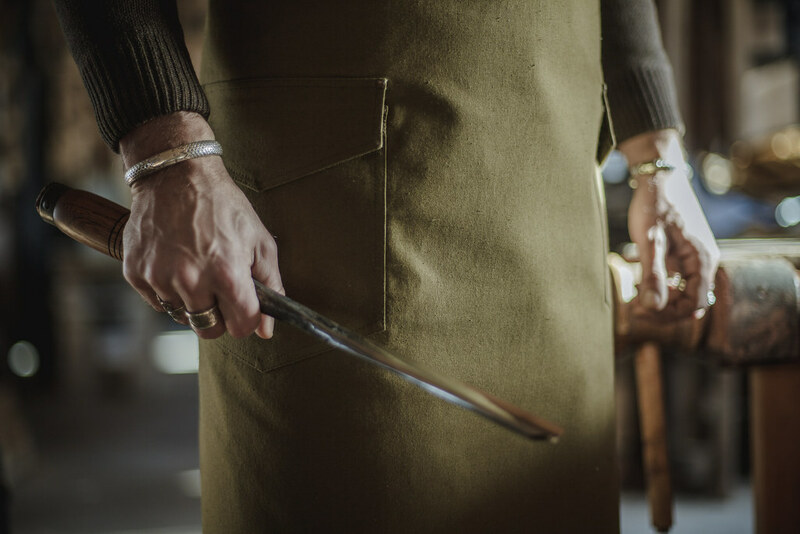 The apron has a double polyester stitching for durability and has some leather details as well. 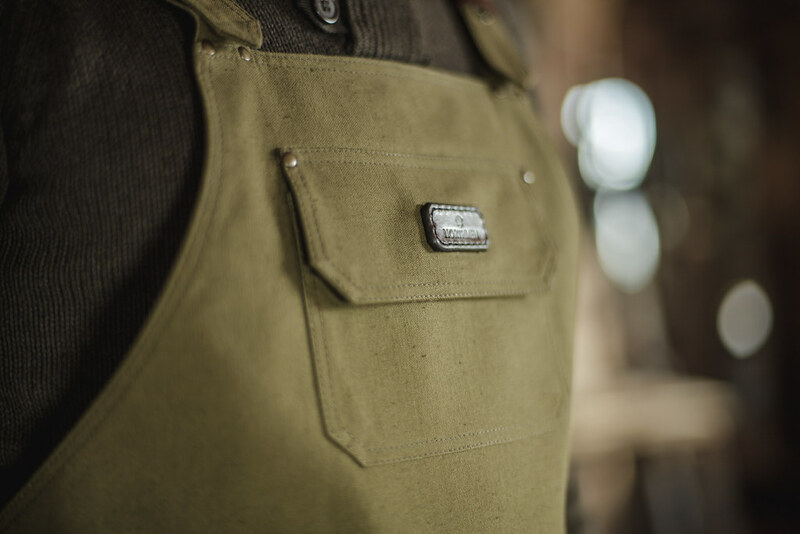 The hardware – buckles and rivets are antique brass. 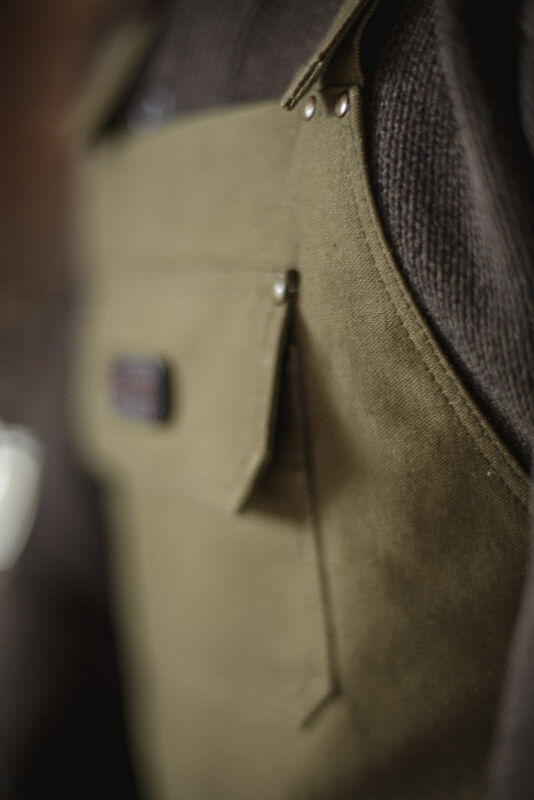 It is not washable and should be cleaned just from the surface only.